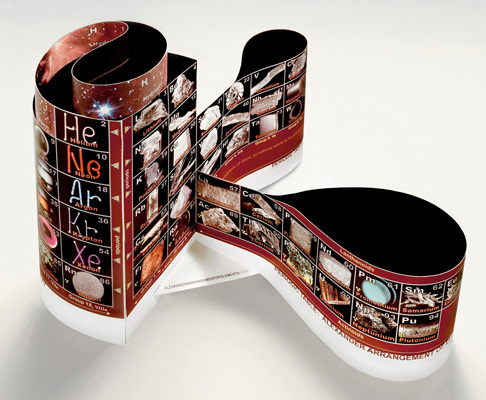 Systemized by strictly following the Periodic Law, the Alexander Arrangement of Elements format of continuous and contiguous elements, groups, and blocks full color, is a three-dimensional model depiction of the ACTUAL arrangement of nature's chemical elements, 13.75" tall, and fits within a 15.5" circle. It is intended for validation of the Periodic Law in the lesson with mass & trends, prior to the Periodic Table. 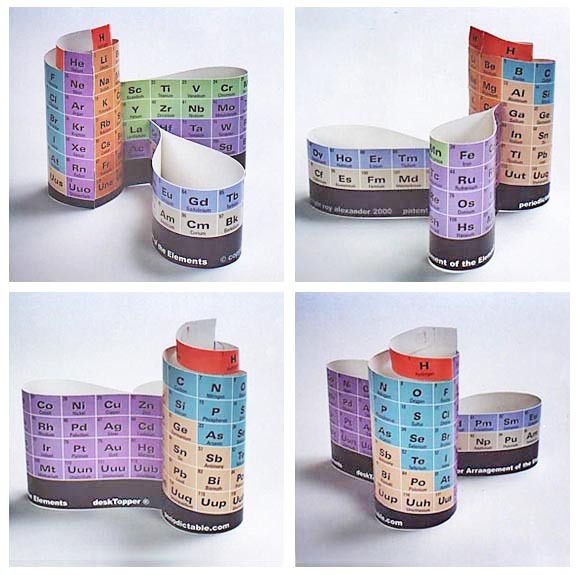 Two separate fully color coded student size Alexander Arrangement Periodic Table models assemble in minutes, providing an accurate model of the Periodic Law, the real Chemical Element System, a new and correct way of explaining the necessities and convenience of flat periodic tables. DeskToppers are printed on sturdy card stock: 4.75" tall inside a 7.5" circle when assembled (with either Y over Lu, or Y over La, or both). The assembled model can be folded and flattened to 11.25" x 5" for portability in binders and folders.